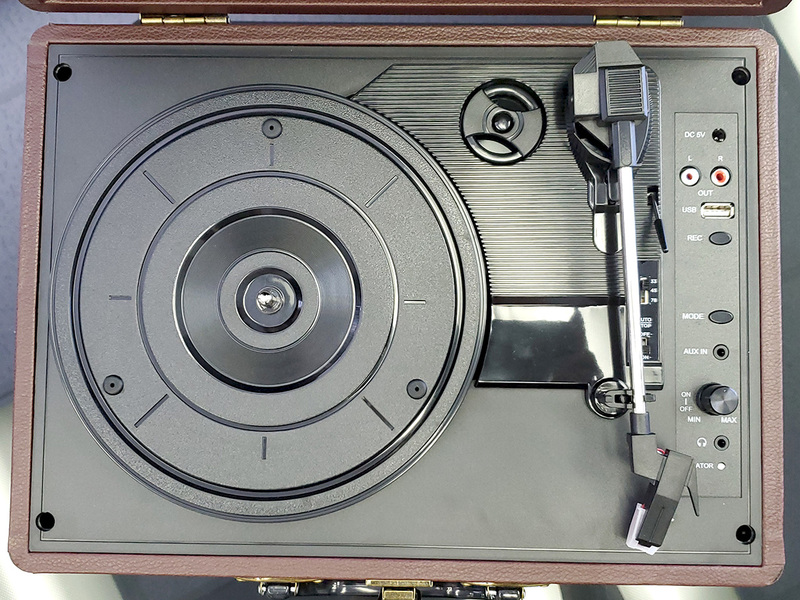 Celebrate your love for vinyl records - with style! 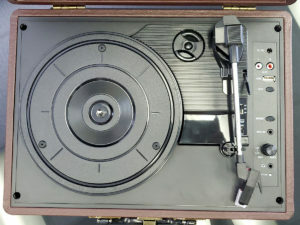 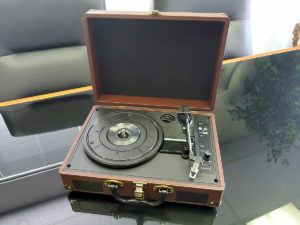 The Medion E64065 portable turnable in an elegant retro design makes playing the records a pleasure. 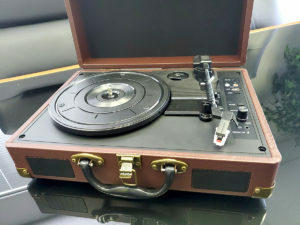 However, the design of a suitcase makes the turntable not only a real eye-catcher but also very easy to carry. 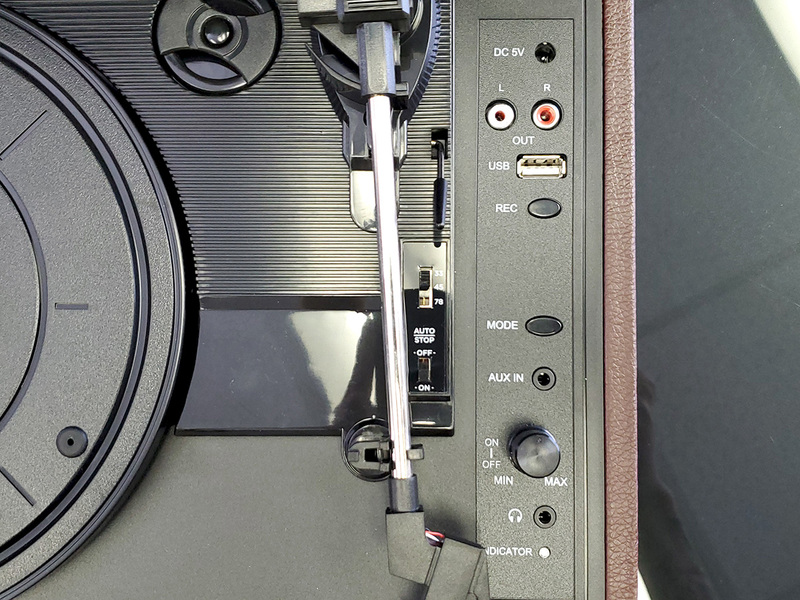 So you can effortlessly listen to your vinyl treasures everywhere. 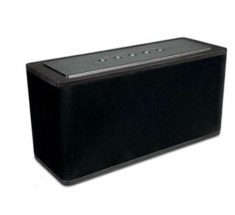 With two built-in stereo speakers, no additional equipment is needed. The record player made from natural wood and fine imitation leather can not only be easily transported thanks to the practical briefcase format but also becomes the stylish centerpiece of any party thanks to its retro design. 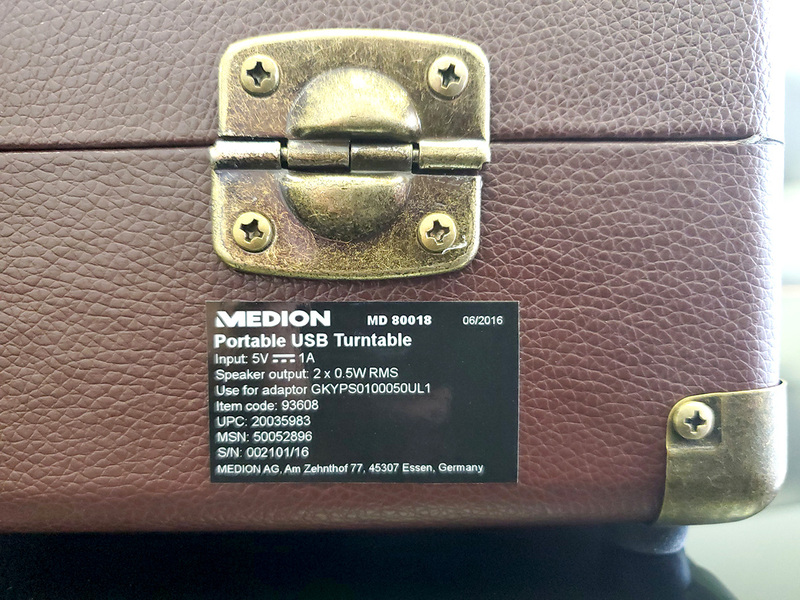 MEDION E64065 portable turntable truly plays all your musical treasures. 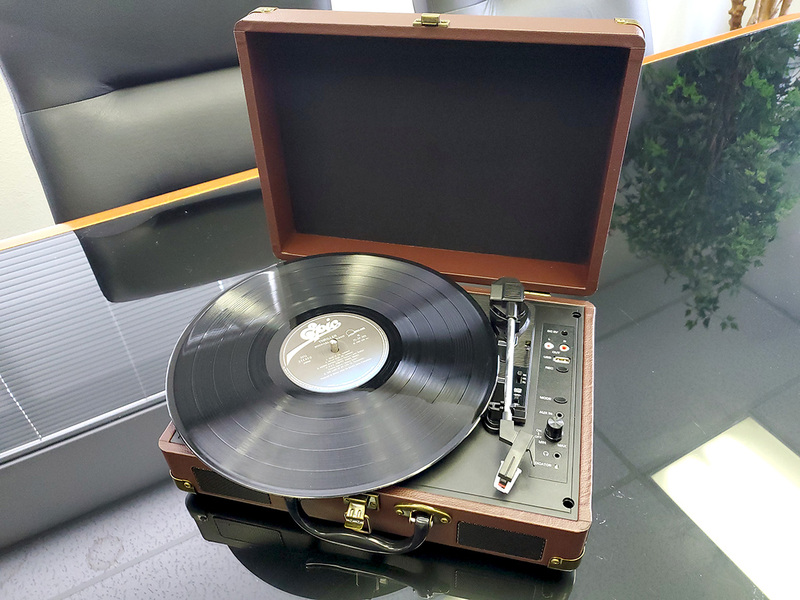 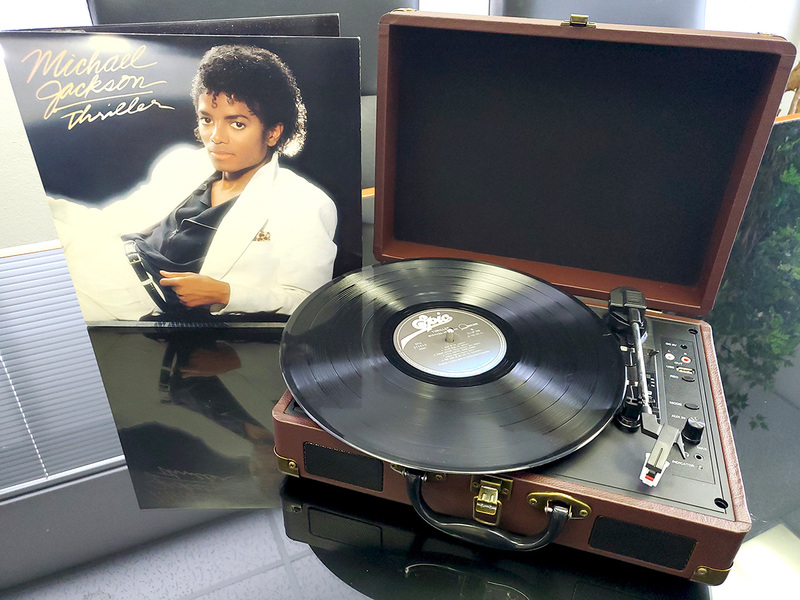 Whether LPs or EPs - with three selectable rotational speeds (33, 45 and 78 revolutions per minute) you can easily reproduce all your albums and enjoy the classic vinyl sound. Want to create a digital copy of your vinyl? 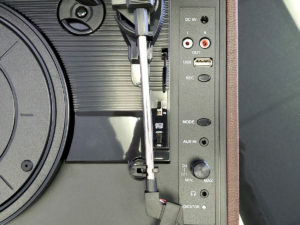 With built-in direct MP3 encoding, the songs are converted directly into MP3 format and thus easily recorded for eternity. With this, you have found your perfect companion - whether you are just discovering the love for vinyl or have been collecting records for a long time. 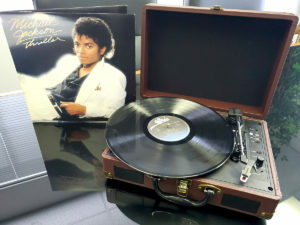 Pictured record is not included and only shown for reference. 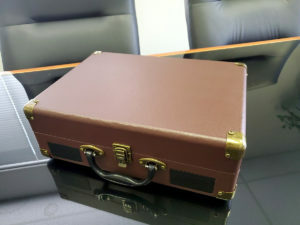 Auskin Shorn Lambskin Infant Care Baby Rug. 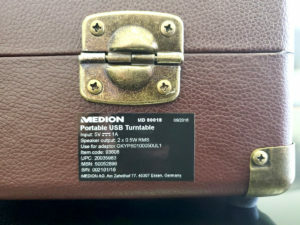 3ft x 2ft of Genuine Lambskin.